I truly believe that Americans are driven to innovate. Collectively we feel that whatever “it” is, “it” can be improved. 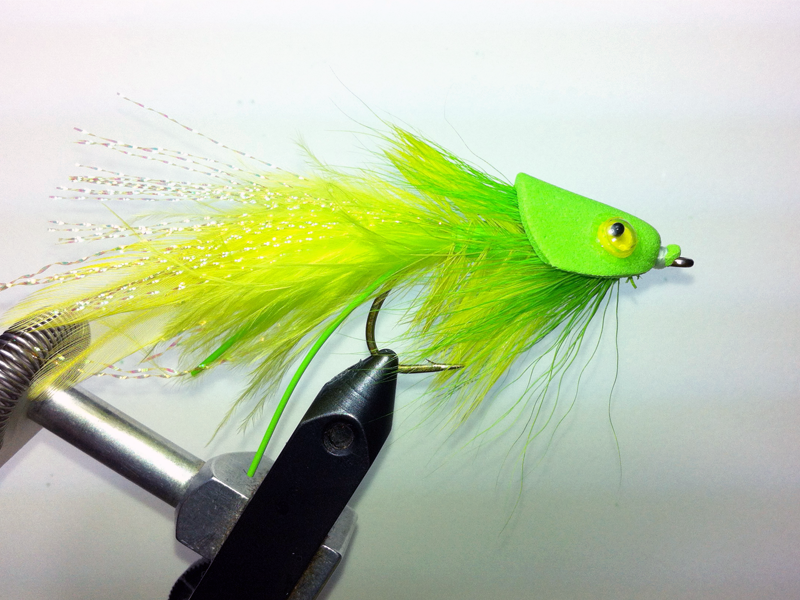 Fly tying is no exception. Vince Marinaro in his book “A Modern Dry Fly Code” gave us new and innovative terrestrial fly patterns. 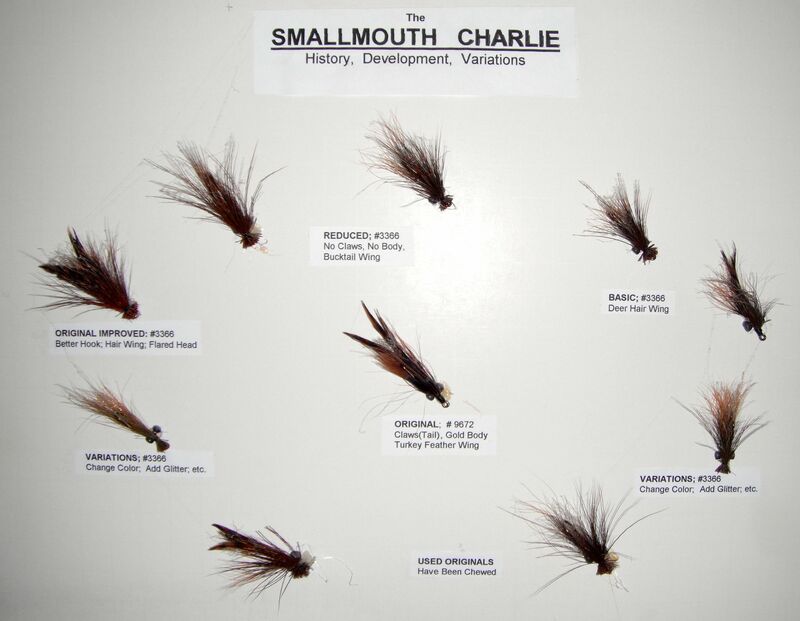 Other fly tyers since then have come up with saltwater patterns that never existed, regional flies that are killers and just whole new ways of designing and using fishing flies. What would we do without Clouser minnows, or Lefty’s Deceivers, Leisenring Flymphs, Nemes’ soft hackles or the Copper John. I am simply amazed at the proliferation of fly patterns that exist. Looking through a recent fly tying magazine I counted 38 “new” flies and probably 40 or so variations on older flies. The theory and practice of fly design has become a job description. A few years ago there were actually attempts to patent fishing flies. Naming them after yourself is OK, it contributes to invention, but patents !! Yikes. While sounding like a curmudgeon, I have to admit that I get a real thrill out of all the innovative efforts in the art of fly tying. Gary Borger wrote a great book in 2010 called “Fishing the Film”. He presents new (and old) ways of thinking about how to fish a fly right below the surface. He also presents 20 pages on how he designs flies just for fishing in the film and promises a future volume on just fly design. Things like this and the sheer number of patterns “out there” show that our sport is alive and well. Exciting things are on the horizon. Who knows, maybe I’ll name a few after myself and make a few bucks or become famous. Now if my memory could keep up with all the new names………. By way of illustration, here is what the evolution of the classic Muddler Minnow looks like (not all the variations, just some. My fly box has at least 10). 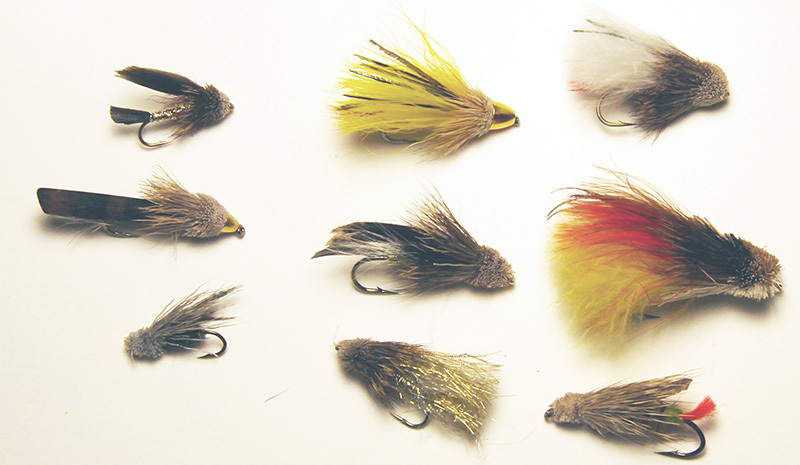 From top left, clockwise: original Muddler, Yellow Marabou Muddler conehead, White Marabou Muddler, Conehead Muddler tinsel body, another wing type color, Yellow/red Ice Dubbing Muddler, tiny Herl Body Muddler, Tinsel body Muddler, Red-tail Green Wool Body Muddler. They all have caught fish with the regular Muddler the still the top fly. Bring on the innovation and rip lips.